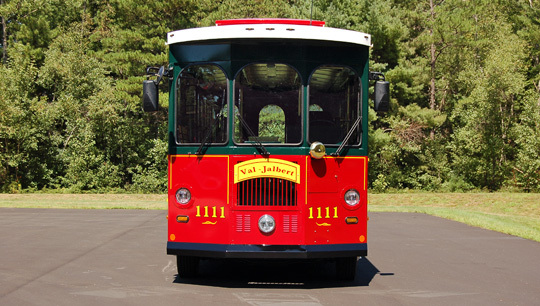 The Original Molly Trolley is still very popular after 30 Years of production. 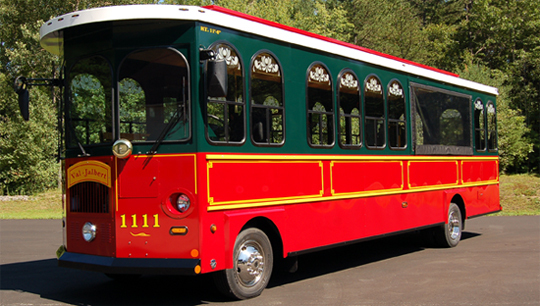 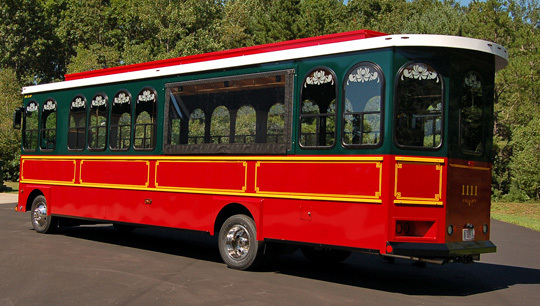 The Original Molly Trolley has a split passenger cabin where the front half contains decorative arched sliding vent windows and the rear contains large viewing openings. 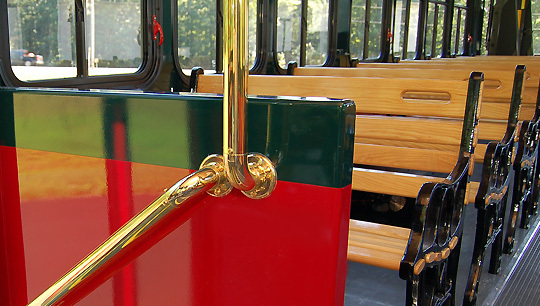 These openings can be closed with a vinyl roll up curtain in summer use and window inserts for winter use. 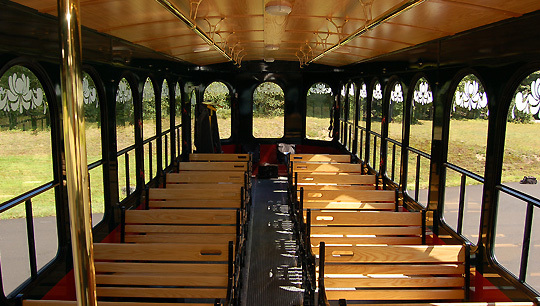 The large openings provide unobstructed viewing for picture taking as well as an exciting open air experience while moving along your scenic route. 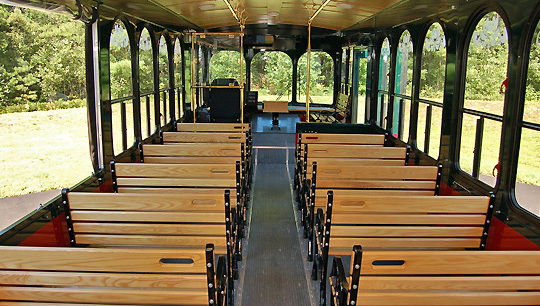 For those passengers not desiring the open air experience, the seats in the front provide a traditional ride. 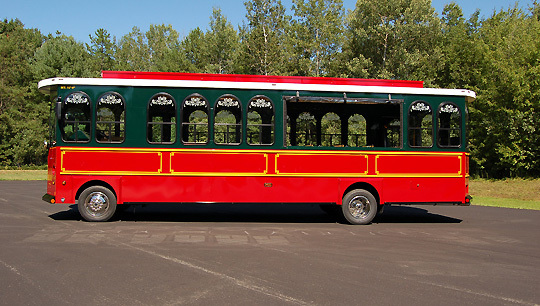 The Original Molly Trolley is manufactured with Ford's F5D chassis and is exceptional for all operations. 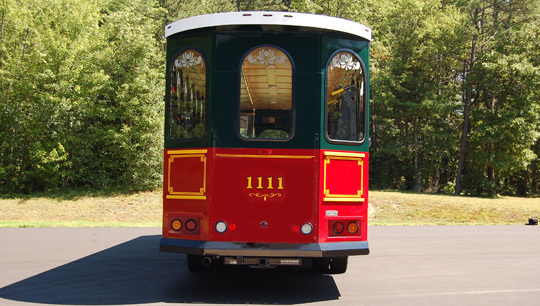 The Original Molly Trolley can be equipped with a handicap lift and many other upgrades listed on our Optional Equipment list.